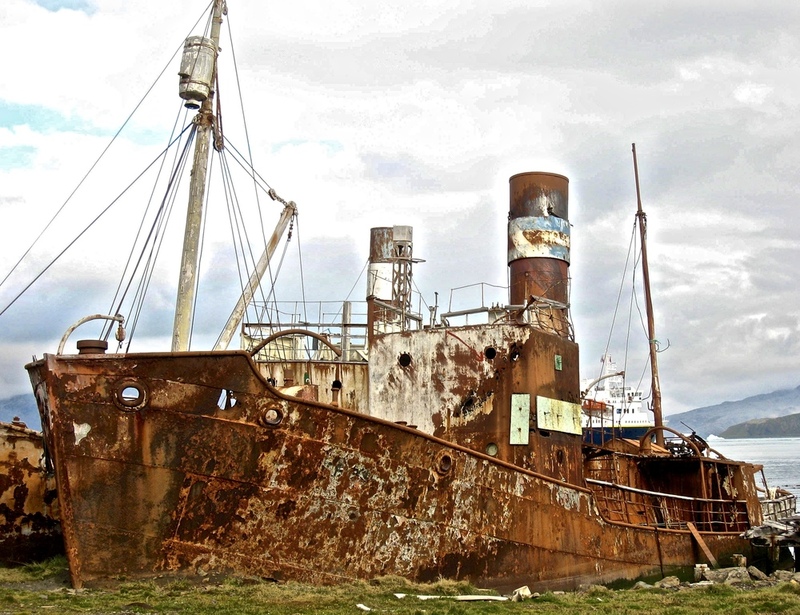 THIS IS THE LOCATION WHERE IN MAY OF 1916 CAPTAIN EARNEST SHACKLETON ENDED HIS 18 MONTH INCREDIBLY DANGEROUS JOURNEY TO RESCUE HIS 28 MEN AFTER THEIR SHIP WAS TRAPPED IN THE ANTARCTIC ICE AND DESTROYED. 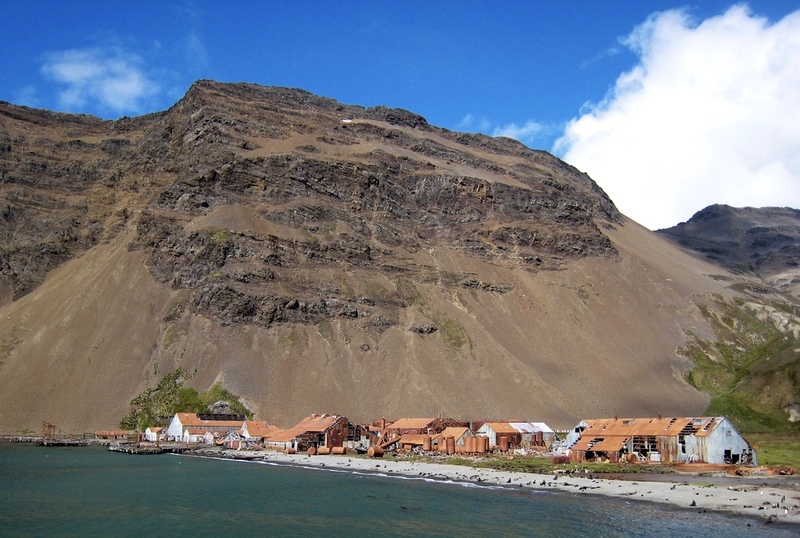 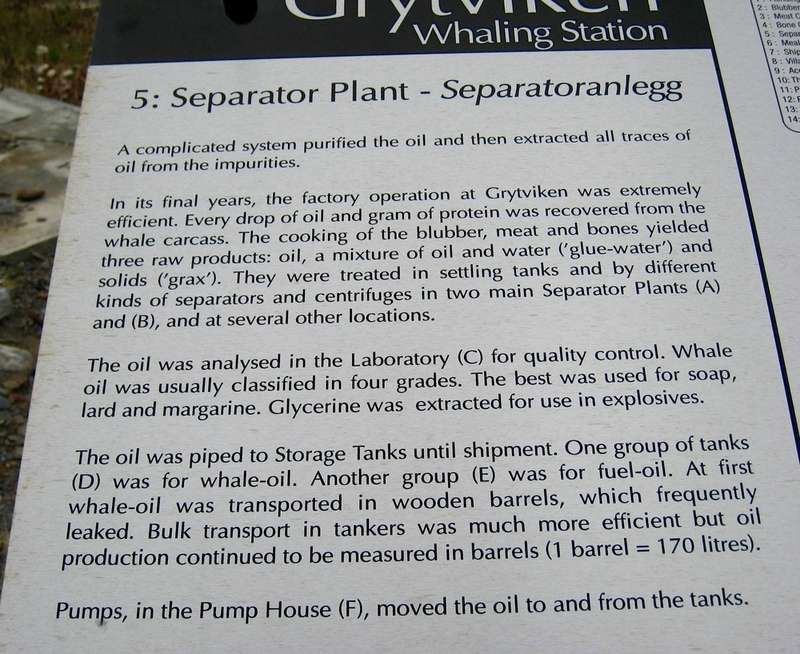 GRYTVIKEN WAS A VERY ACTIVE WHALING STATION IN THE EARLY 1900S. 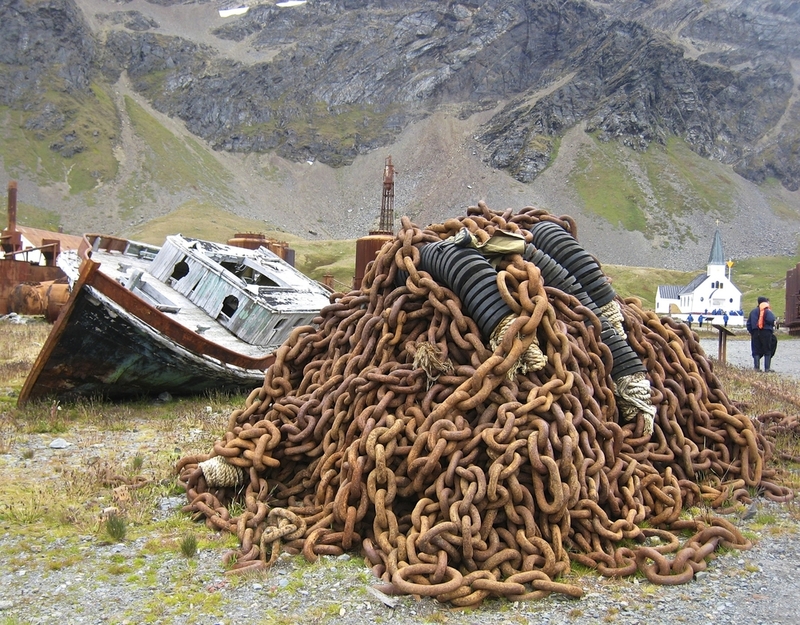 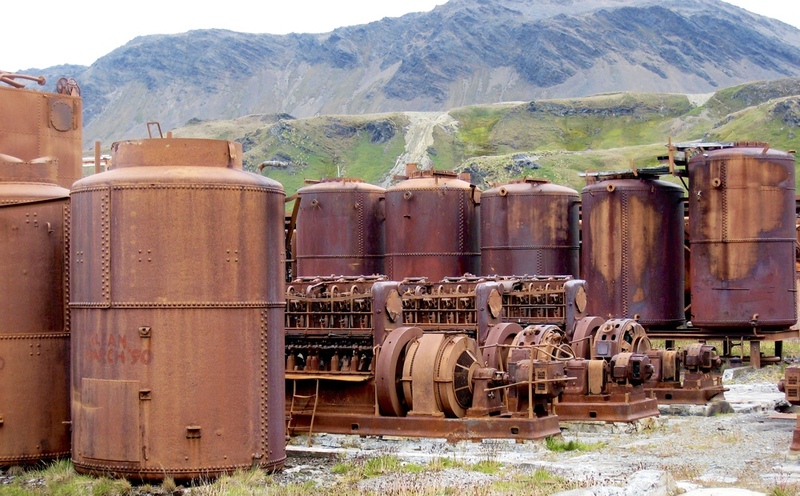 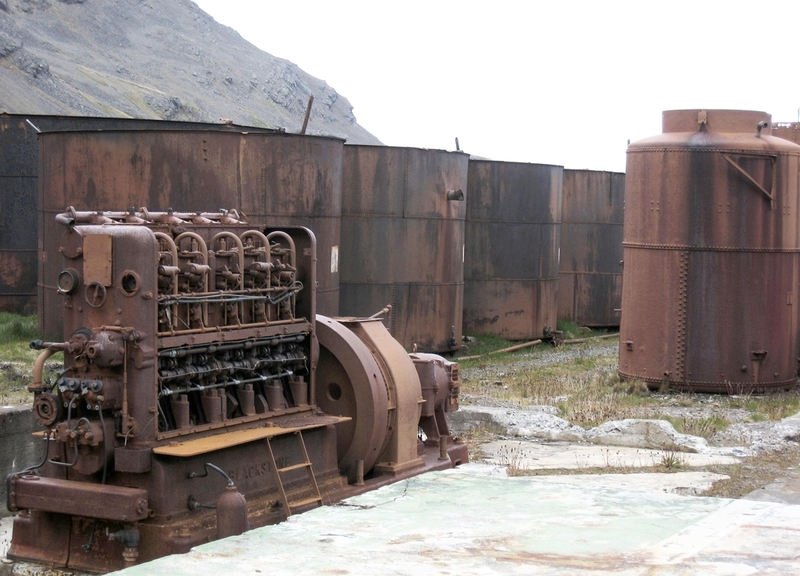 THE ENTIRE SITE IS NOW A MUSEUM OF THE RUSTED REMAINS OF THESE WHALING OPERATIONS AND THE HISTORY OF SOUTH GEORGIA. 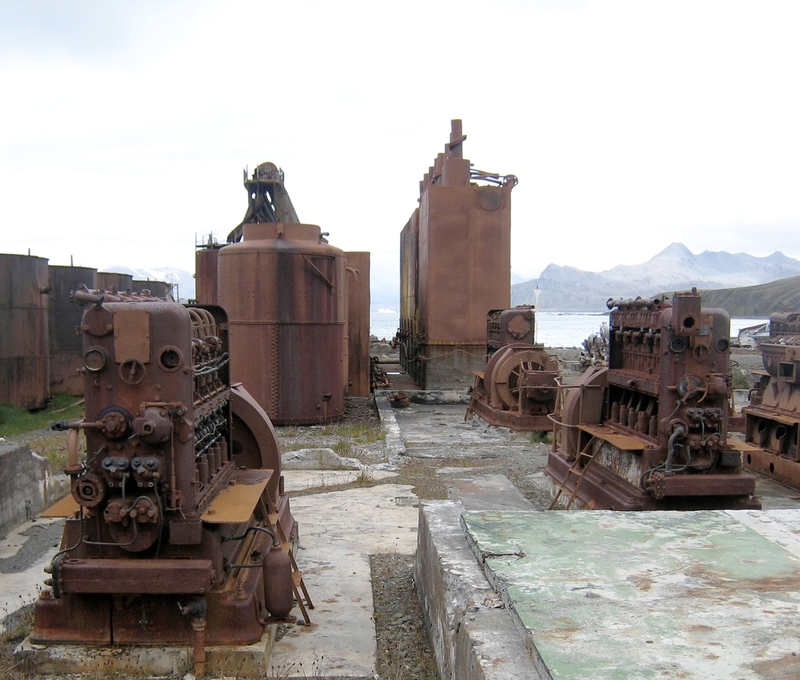 IT IS ALSO PRESENTLY USED AS A BRITISH ANTARCTIC RESEARCH SITE FOR PART OF THE YEAR. 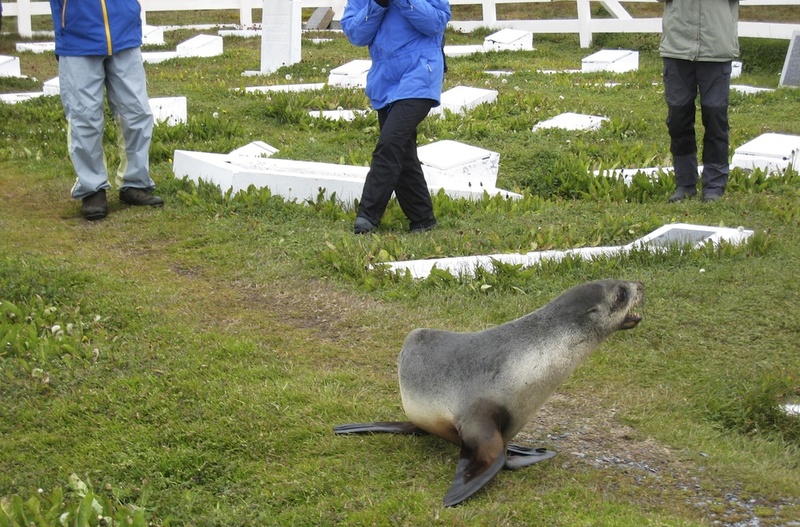 SHACKLETON IS BURIED IN A SMALL CEMETERY THERE ALONG WITH OTHER SOLDIERS FROM THE FALKLAND ISLANDS WAR.